New year and new tricks, right? Well, in software development there are always lots of new things going on and coming. Also, adapting to newish technologies (like IoT, AR, VR, Big Data etc.) will continue and we will learn more about advantaging these new technologies. Since testing is an important part of any software development, the trends of SW development are very much connected with the trends of SW testing. This text is about the trends of software testing in 2017. 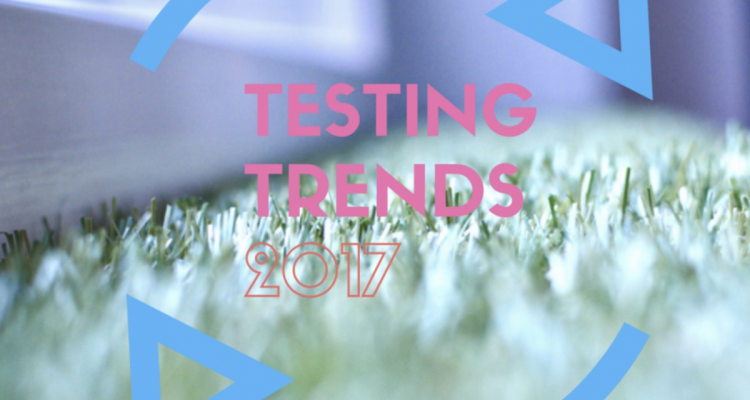 But before we go to the trends, I’d like to share a couple of insights that highlight the importance of testing in 2017. The World Quality Report 2016-17 (1)– the industry’s largest research study and analysis of testing and quality assurance trends – sums up the opinions of 1600 senior executives around the globe. The report states that there are three points that make it to the Top 3 list of both Priorities of QA & Testing and Aspects of IT strategy. So, the most important aspects of IT strategies as a whole are the same things that are the most important priorities of QA execs (and all three are more or less related to QA). Needless to say, testing and QA are incremental aspects of software development and they will most likely continue to tighten their grip in 2017. Another important global research, the Worldwide Software Testing Practices Report for 2015–2016 (2), claims that the budgets for software testing and quality assurance will grow 40 percent in 2017 compared to 2016. Stronger focus on QA and with that, bigger budgets, is old news for those acquainted to the subject. However, growth of 40 % is a lot. Although, we must note that the whole industry is growing fast. Nevertheless, by 2019 it is expected, that testing and QA will take a 40 % chunk of total IT budgets worldwide (1). All this means that companies do understand the importance of software testing. But how do these budgets allocate across different testing functions? What are the hot potatoes of the upcoming year? Without further ado, here is our list (in random order) of software testing trends in 2017. What parts can be automated and what needs to be tested manually? How can tests be run simultaneously in multiple platforms? What is the ROI of implementing test automation, how fast does the invest pay itself back? What tools should be used when testing new technologies (IoT, VR, AR etc.)? Should testing services be bought as a service or as T & M (time & material)? Technologies and ways of working change all the time but regarding cost efficiency, one thing stays; planning well saves you money. In case you have doubts about the current state of your test plan or just want an outside opinion about it, check VALA Software Test Plan here. Automation is a word that comes up every time people talk about SW testing, SW development or, even generally, the future of technology and employment. Automation is making its way into everything, there is no going back in the other direction. Automation has been used in software testing for a long time but now we’re witnessing the era of general, all round adoption. Like digitalization, all companies know that automation is becoming a must. By the end of 2017, software testing process without any automation is (in most cases) a little embarrassing. If you are in the process of evaluating the need for test automation in your company, check out our free guide here. We are definitely not saying that manual testing is dead in any ways. 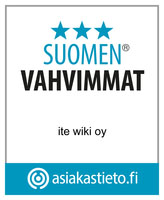 For example, explorative testing is and remains to be essential. However, there would definitely be a place for automation as a wing man. Also among our QA engineers, we have seen a considerable trend that people’s motivation to learn test automation has increased significantly. Actually, most of the testers who have previously done only manual testing are nowadays requesting to get into projects where they can learn automation. Also, willingness to learn automation independently seems to be more a rule than an exception these days. Because of agile, new pieces of software are released within weeks instead of months. Testing must adapt and integrate into the development cycle. Also, there is a need for the developers to adapt too and become more involved with testing. DevOps drives development into faster deployments and cost efficiency. Use of DevOps will most likely increase in 2017. Agile working methods are starting to be a standard way of working nowadays and it will maintain its status in 2017. Once again related to the issue of cost efficiency, open source tools will become more common and more new alternatives will arrive. We expect to see more and more instances moving towards providing open source tech in 2017. There are a lot of great open source tools for testing, like Selenium, SoapUI and Appium. 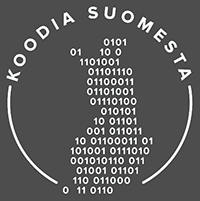 Especially, as a Finn I’d like to point out Robot Framework, which is a great open source test automation tool developed by Finns. Although Robot Framework is already used almost around the globe, we expect this keyword-driven Framework to further increase its global popularity. Machine learning in general is currently very hyped. Naturally testing is a field where well working AI would create great benefits. For example, in test automation, instead of humans writing the automated tests, sometime in the future machines could do the same and continuously learn and become better at it. But will technology become mainstreamed in 2017? We don’t think so. We believe that machine learning in testing will create a lot of buzz and hype in 2017, but we are unsure if it will become widely used just yet. However, there is already proven examples of working AI in testing. For example, Facebook has already used AI in static code analysis in their mobile testing tool Infer. We also have a few ideas in our sleeve relating to AI in testing, but those shall remain a secret for now ;). You know it, I know it, everyone knows it; users are very demanding towards software nowadays. And they will become even more demanding! In 2017 no one will accept bad quality software. Almost all software has tens or hundreds of counterparts, and because changing and trying new solutions is so easy, consumers simply go away in case a solution is any of the following: slow, crashing, unreliable, complicated, unintuitive or buggy. On the other hand, relatively simple solutions can become market leaders with killer user experience (take Wolt for example). In my opinion, usability, functioning, and speed are more important aspects than overall features. Even though usability testing has an extensive history as part of quality assurance processes, we believe it will have an even more important role in near future. Also user experience driven development (UXDD) has been around and aknowledged for a while but we see that it will become even more obvious by time. Generally we think that a shift of focus in the testing timeline is inevitable. What this means is that instead of building a software and then testing its UX and performance, these attributes will be guiding factors from the very beginning of development. Programmers will begin taking roles of “performance supervisors”. That’s it. Naturally there are many important things that got left out from this list, so please comment if you have anything to add! All in all, we think that keeping these six trends in mind will guide you into a successful year.